Ada pertanyaan untuk Al Bustan Centre & Residence? Baik Anda turis maupun dalam perjalanan bisnis, Al Bustan Centre & Residence adalah pilihan akomodasi yang tepat ketika mengunjungi Dubai. Hotel ini tidak terlalu jauh dari pusat kota, hanya 10 km dari sini dan umumnya hanya membutuhkan waktu 10 menit untuk mencapai bandara. Untuk pilihan lokasi jalan-jalan dan obyek wisata lokal, Anda tidak perlu pergi jauh-jauh karena hotel ini terletak dekat dengan Lulu Village, Century Mall, Century Mall Dubai. Di Al Bustan Centre & Residence, setiap upaya dilakukan untuk membuat tamu merasa nyaman. Dalam hal ini, hotel menyediakan pelayanan dan fasilitas yang terbaik. Untuk kenyamanan para tamu, hotel ini menawarkan layanan kamar 24 jam, WiFi gratis di semua kamar, satpam 24 jam, layanan kebersihan harian, layanan pos. Hotel ini memiliki 640 kamar yang didesain dengan indah. Banyak kamar memiliki lantai karpet, sandal, televisi layar datar, cermin, akses internet - WiFi. Baik Anda yang menyenangi kebugaran atau hanya ingin bersantai setelah beraktivitas sepanjang hari, Anda akan dihibur dengan fasilitas rekreasi kelas atas seperti pusat kebugaran, kolam renang luar ruangan, pijat, klub anak-anak, lapangan tenis. Fasilitas super dan lokasi yang istimewa menjadikan Al Bustan Centre & Residence tempat yang sempurna untuk menikmati penginapan Anda selama di Dubai. For those in the corporate world, you probably hear it lot that the people is it's best asset. 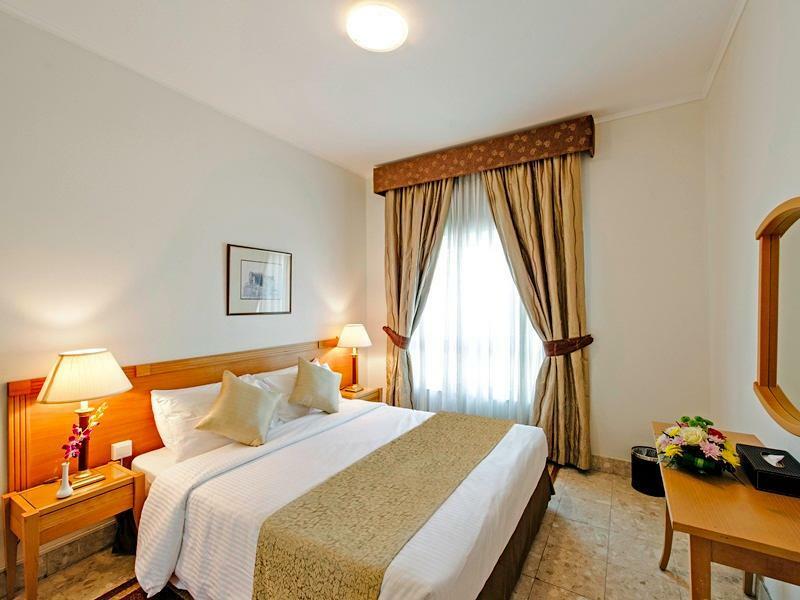 After staying here a few times, you can say that the staff at Al Bustan is its best asset. On this stay, I checked-in and -out in a breeze. Housekeeping delivered everything I asked for writhing reasonable wait time. Everyone is just courteous and you can sense the sincerity in their service. And no matter how late it is when you check-in, that moment when you are welcomed back, something just tells you that you will be in good hands in the coming days. That's how it was for me. This is the first time I stayed here and I can say that it is the first of the many more stays. The staff was welcoming, considerate and solution-driven. 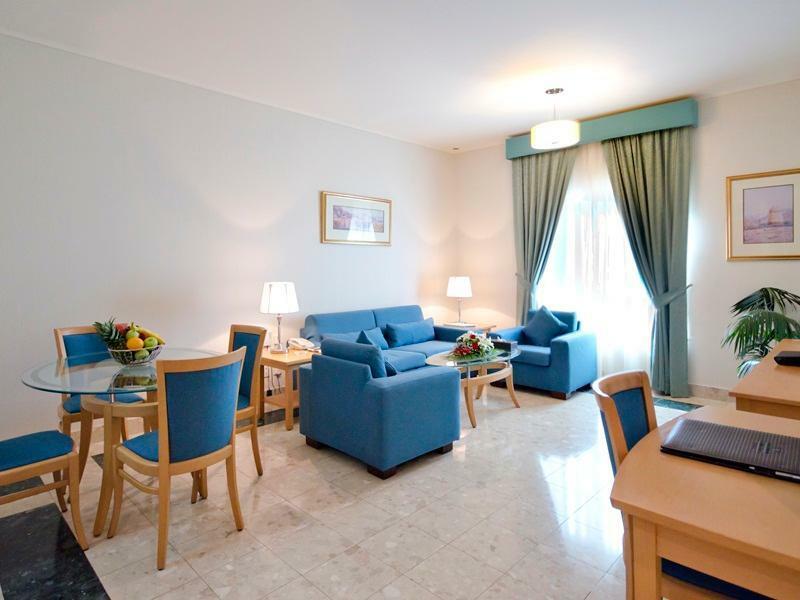 The property is close to the airport (about AED25 by taxi, just add AED20 over the usual flag down rate if coming from the airport). 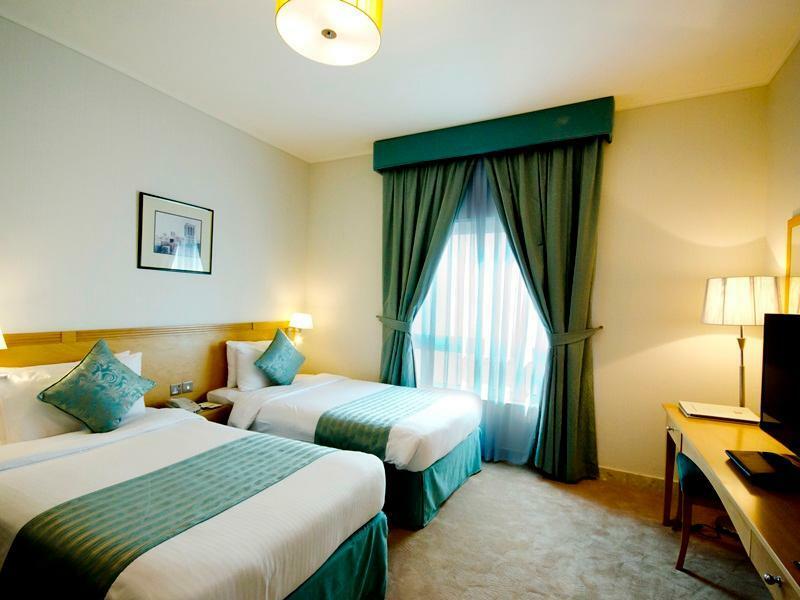 This location makes it ideal for those on a layover or looking to see the souks and Old Dubai. The property is wide so prepare to walk a few minutes to reach your rooms but it comes with multiple gates for each block. I was under Block 4 with gates close to the train station. I didn't have the opportunity to try their breakfast but the room service has your usual choices and service was prompt. I also didn't try the other amenities. The 1-br apartment's size is decent but the bathtub was a bit of a letdown. The room I had was neat and has basic appliances. Even if you feel like making karak on a whim, you can buy the stuff you need from the supermarket downstairs. Best part? You can have it delivered right to your doorstep. I haven't done it but I saw a guy carrying a shopping cart filled with groceries! How amazing is that? Only in Dubai. Only in Al Bustan! i booked this hotel without expecting. because i stay one nignt. 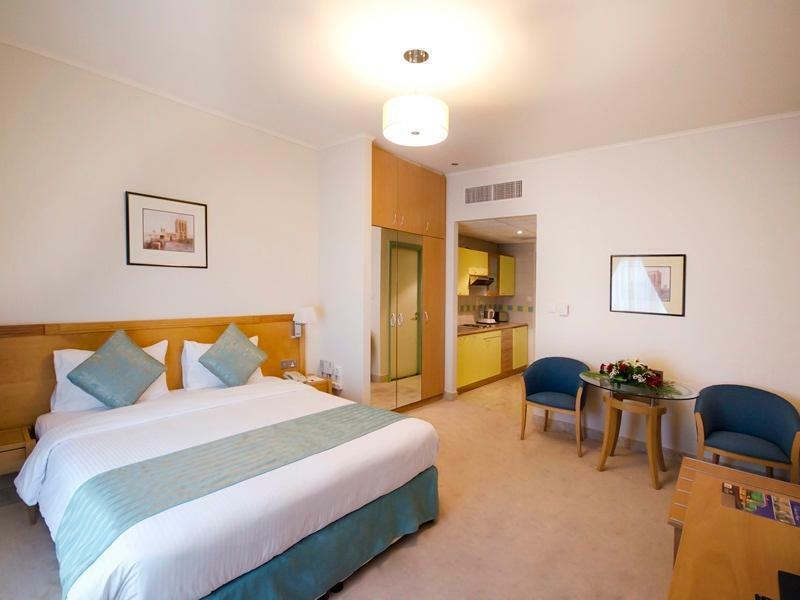 hotel located in downtown are and it was easy to use surrounding restaurant. room was clean and bed was also fluffy and warm. breakfast was nice. but it seemed to smell in the toliet. the most unpleasant thing was to pay taxes. when i booked on this site, i paid a price included tax and service. but receptionist asked to pay extra cash. it was small money but my mood was very unpleasnt. If i have to pay separately in cash, i don't know why i paid online. If someone make a reservation after looking at the review, please check it out. 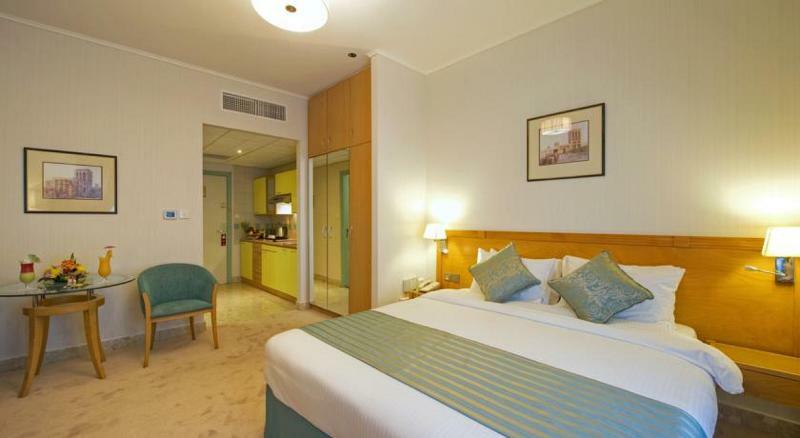 Excellent hotel with excellent location near the Metro station, extremely clean & comfortable . Upon arrival we were warmly welcomed by the friendly reception staff Terance. 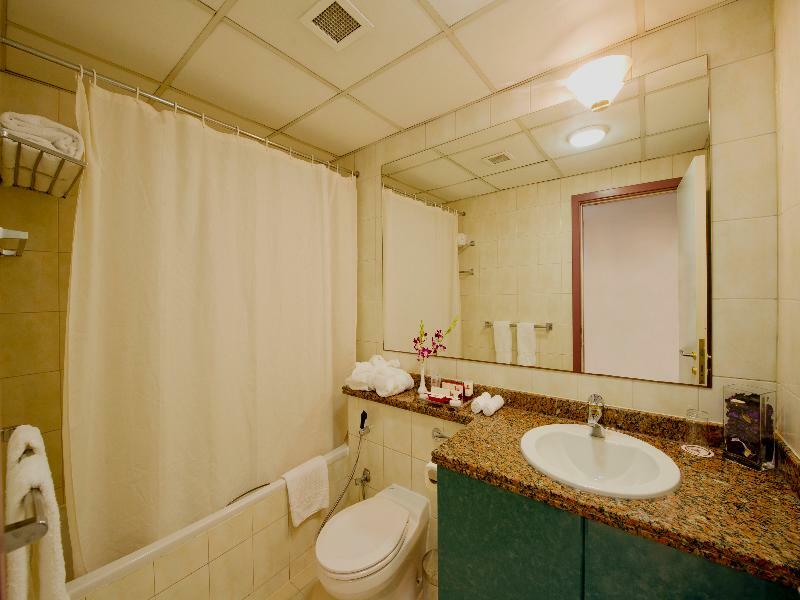 I enjoyed the quietness, the cleanliness and the lovely staff. I was quite impressed by the large selection of food for breakfast. It was Awesome..!! I would be more than happy to stay here again and would definitely recommend this hotel to everybody..!! Used to stay in this hotel in the past but was shocked with the decline in room cleanliness and the customer services for the staff. Dear Ms. Khawla, We would like to thank you for your feedback. However, we did not find any complaint registered in our logbooks. Besides, you are not even registered in our System. we are kindly ask you if you may let us know your room number so that proper action can be taken accordingly. Our guest satisfaction is our main goal. Looking forward to see you again at Al Butsan Residence. If there’s one thing to nitpick during my stay, breakfast needs a bit of variety. Everything else is good. It was like home away from home. The staff were supper helpful, Its very clean they offer room service twice a day. Accessible to metro and groceries and therr is a hypermart 15mins walk away.The only downside for us was the breakfast selection, if you aren't Indian, u might want to stick with the fruits and veggies. The omelette is bland, I was too scared to try the scrambled. The waffles where strange. Didn't taste fresh. I would definitely still stay here again on my next trip. This hotel offered exactly what I was expecting i.e. 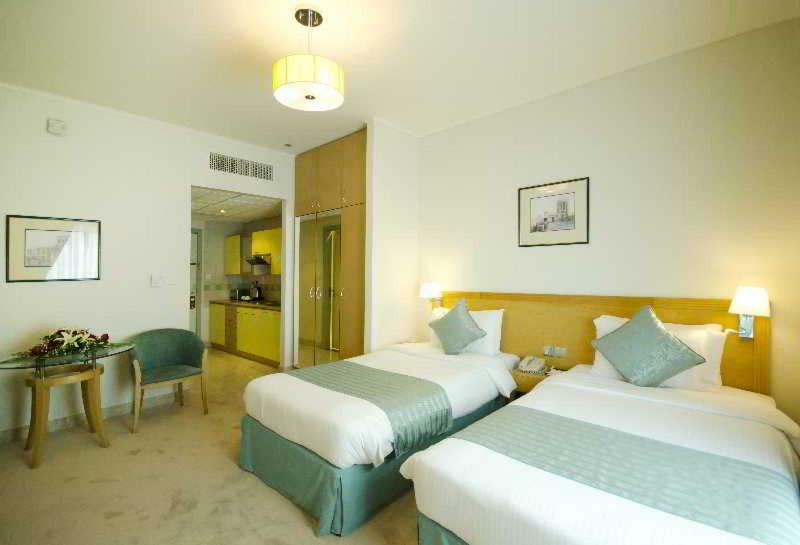 close to airport, outdoor swimming pool, onsite shopping mall to include a food emporium, comfortable suite. Very good nights sleep. Would consider returning. kitchen, cleanliness and the staff. it's fine, however, the free internet is very hard to get. Security is excellent. The swimming pools seems to be for children only (less than 2 feet deep and 2.3m deep on a very small area. The staff are very good. We have to check out early morning but they did not allow us to pack our food. its a good location if you have a car and if you nearby the airport. near from metro and very convenient. Summer in UAE is sweltering hot. I always pick Al Bustan over the rest bcuz of its location and proximity to everywhere I wanted to go.